KTM 790 Adventure Priced at $12,499—One of the most eagerly anticipated motorcycles of 2019—the KTM 790 Adventure and Adventure R—will go on sale in the U.S. for $12,499 and $13,499, respectively. Both the standard Adventure and the R share the same engine in the 799cc DOHC parallel-twin. KTM hasn’t provided any power figures for the LC8c motor, but expect somewhere in the region of 95 hp on tap, with both machines weighing a claimed 416 lb dry. 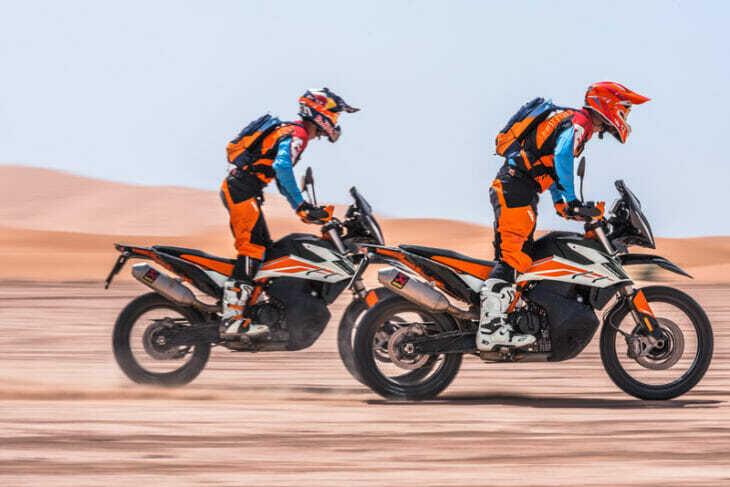 We’ll be riding these two new orange weapons in Morocco next month and will report back to base camp with our findings real soon. You can find more information, specifications and photos of the 2019 KTM 790 Adventure and 790 Adventure R in our first look story here.